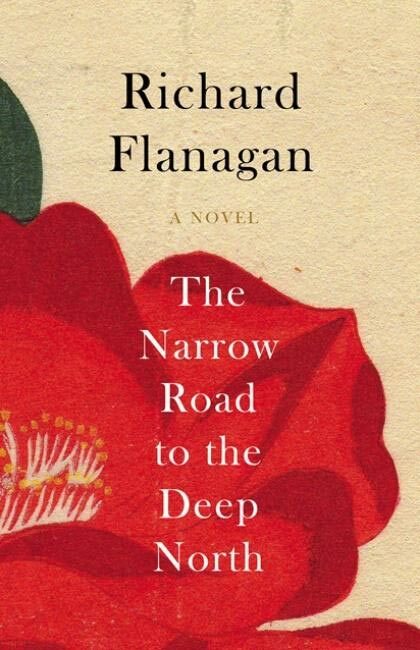 I was thrilled when Richard Flanagan’s ‘The Narrow Road to the Deep North’ won this year’s Man Booker Prize. Set on the Thai-Burma ‘Death Railway’ it’s a magnificent novel and a powerful addition to the films and books – ‘Bridge On the River Kwai’, ‘The Railway Man’ etc., that focus on the fate of the Allied POWs in the Far East. There were 130,000 of these men, who suffered starvation, disease, and relentless brutality. But there were 132,000 Allied civilians in the region, most of them women and children, who also endured dreadful privation and cruelty, yet whose story is barely known. These were the families of European and Australian planters, teachers, missionaries and civil servants. They are also the heroines of my new novel, ‘Ghostwritten’, about a Dutch girl, Klara, and her family, and their struggle to survive in a prison camp on Java. 30 years ago the TV series ‘Tenko’ dramatized the imprisonment of women and children in a Japanese internment camp on Sumatra, as did the 1997 film, ‘Paradise Road’. But ‘Ghostwritten’ is the only novel I know of, since then, that focuses on the reality of daily life in these appalling camps. Overcrowding was so chronic that dysentery and cholera flourished, along with bedbugs and lice. There was little or no sanitation and education was banned – children would write their numbers and letters in the dirt. The prisoners had to stand for hours in the blazing sun at roll call, or Tenko, and all females between 10 and 60 had to work. Many had to lift heavy furniture, others had to chop firewood for the central kitchen, scoop sewage out of the overflowing latrines or make coffins for the ever increasing number of dead. And amidst all this they were being slowly starved, as the rations dwindled to one cup of rice per person per day. The women also faced routine violence from their guards. If a woman looked a soldier in the face or failed to bow to him instantly they were given a vicious slapping that could break their nose or loosen teeth. If they traded their possessions for food at the hated gedek fence, they could be beaten to the ground, or have their heads shaved. In camps were the Commandant was particularly sadistic, some women were executed while others were ‘punished’ by being tied to a chair in the sun. ‘Ghostwritten’ is a story of survival – it’s about women being tested to destruction during a terrible war. It’s received wonderful reviews I’m happy to say, but one of the most frequent comments from readers is that they ‘had no idea’ about this part of history. I believe that this is because the story of the ‘War in the East’ has come to be dominated by the male/military narrative: yet the experience of internment, for a woman, was just as harrowing as captivity was for any man. By the time the Far East was liberated the degradation of these women was complete. Like the POWs in their loin cloths, they had virtually no clothes, many wearing old tea towels for bras, and ‘sandals’ made out of rubber tyres. Like the POWS, they were emaciated and half blind with malnutrition and, like the POWS, many thousands had died. I have no wish to diminish the heroic Prisoners of War or ever to forget what they endured; but thousands of women and children also lived with hunger, disease, cruelty and death, and we should remember their ordeal, and their courage too. Ghostwritten’ is published by HarperCollins in paperback and on Amazon Kindle.